Who needs help? If you’re like many I talk with daily, you have more things to do than hands to juggle them. Meaning, in a world of hyper activity or tasking, we are subjected to do more, with less. Does this sound like your day? It sounds like mine! I was at a conference last week which always provides some new enlightenment. I would recommend doing something for yourself that develops personal or professional character, when you can create a window of time – because at some point, they always seem to cross, blend or lose sight of the differences. Sometimes our inefficiencies may merely indicate we need to focus more or connect, communicate or reach out, create a better community whether at work or home. What do you think? I know what you’re thinking “I’m ultra-optimized”!! Like you, we have holidays coming up soon, end of year crashing in right after and then the New Year kickoff to another cycle of hopefully good days and weeks ahead. Are you ready? Better yet – are your customers ready? We never have time but a quick call or email without interruption can motivate and generate others to keep the course you need. Some things you can send out to your customers to get them on board earlier than later could vary. Now a customer doesn’t always mean the vendor’s client, it could be the technician who needs to get an RFQ to Procurement, the Doctor who needs to get the budget to the Office Manager. We are all customers in a way so respect for each other is paramount regardless if you buy today or next year. Remind them that inventory vanishes this last quarter. Recommend if they are close to buying, that end of year tax write-offs may provide benefits to procuring this year and not next. In the US, we have Section 179 again but the threat of it disappearing is always taunting. What this does is provide depreciation benefits and larger write-offs in capital equipment. And yes, it includes leasing too! Before you forget about deadlines, let’s discuss ultrasound machines and probes. Are you in the hospital or medical space? Are you growing in the vein market or have a cardiology practice and thinking of adding another ultrasound device to your facility? How much will the baby boomer generation impact your business? 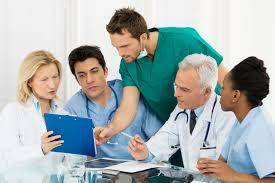 How will healthcare changes add or take away your clients? What is the major concern in your client base for the next 10 years? What about in 2018? Share your stories with us! [email protected] and if permitted, we may anonymously share for you too. That’s why we are here – share, learn, teach, grow. 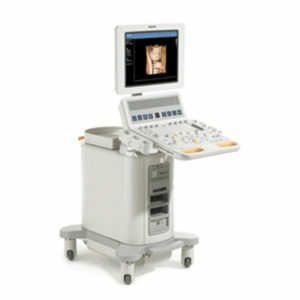 HOME: WWW.ENTERPRISEULTRASOUND.COM – for all your ultrasound needs from parts to run it, probes to operate and scan and a machine and mind helping you achieve correct diagnostics for your patients. They say the secret of your future is hidden in your daily routine. 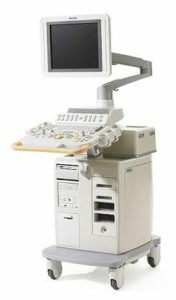 With the Philips HD11 or HD11xe refurbished ultraosound systems, you get a very good midrange imaging ultrasound machine. The strengths on this HD11 (CRT) or HD11xe (LCD) are shared service even with Stress Echo. Vascular centers love this system with the hockey stick linear and regular vascular probes to encompass it all. Philips HD11xe offers a complete digital imaging system with high definition imaging. Capabilities include general imaging to cardiac and 4D. You have the leverage to choose many options like SonoCT – spatial compounding, Contrast Imaging – detect harmonic agent signatures, and move seamlessly through 2D and Doppler modes right into breathtaking 4D studies. You can’t go wrong with this machine. 2D with Pulse Inversion Harmonic Imaging -superb grayscale presentation.